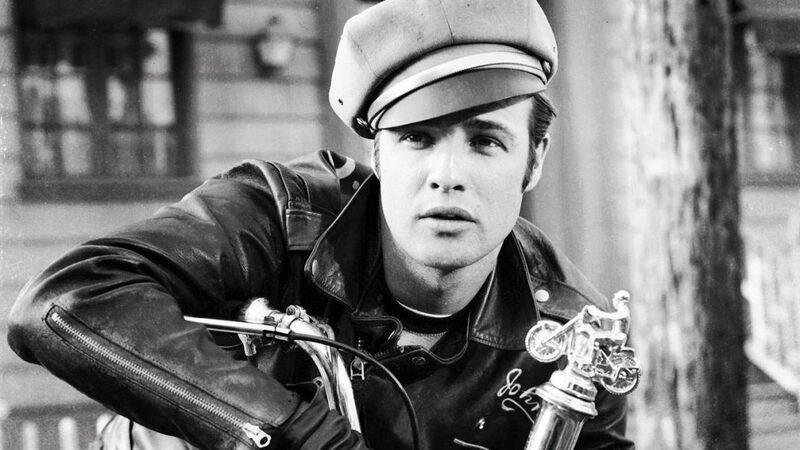 For Day 3 of our Spotlight on Marlon Brando, we’ll be discussing The Wild One from 1953. So, why am I still giving this movie 3 stars? Well, Brando, of course (though, to be fair, I do also love that the motorcycle almost hits the camera in that opening shot. Not sure if that was on purpose or not, but it did temporarily make me think the movie might actually be, you know, shocking). Brando alone makes this movie worth watching. He plays Johnny as a kind soul, someone who knows right from wrong, someone who is introspective and thoughtful, but doesn’t always allow himself to do the right thing. He’s had bad experiences with cops and that has tainted so much of his life that even when the best solution is staring him in the face, he can’t force himself to compromise on silly stubborn ideal he’s created for himself. But Kathie is more than just the average girl to him, and he can see that she really wants to get out of the town, too. For her, it’s too small and too suffocating. She’s certainly a big fish in a small pond and that presents an interesting dynamic because she is shown to be strong and knows exactly what she wants out of life. Johnny, on the other hand, is apparently rebelling just to rebel, unsure of what he’s doing with his life. That, of course, is one of the movie’s most famous lines (and maybe the only famous line from it) making it perhaps Brando’s version of Rebel Without a Cause (which is ironic because he auditioned for that movie and didn’t get the part). Still, watch this one only for Brando… and maybe the restrained and nuanced ending (which actually surprised me a bit). For Day 4 tomorrow, Kelley will be back with her review of On the Waterfront as we continue our spotlight on Marlon Brando! !